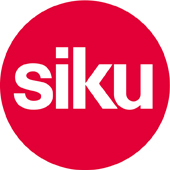 We are a SIKU Stockist and carry a wide selection of their range in stock. Any non stock items from their catalogue can be obtained to order, just contact us. This 1/32 scale model of this John Deere 6820 tractor with front loader features, front and rear hitch, steering front wheels, folding rear view mirrors, lifting engine cover and detachable cab. This is a fantastic 1/32 scale model of the John Deere 7500 forage harvester with maize harvester head. The harvester head folds for transport or can be raised and removed. Side and rear panels open to reveal internal components. The spout rotates to fill a following trailer.